Porter, who is described by shelter staff as a "fearful" could die at any time after his stray hold ends on 1/23/18. 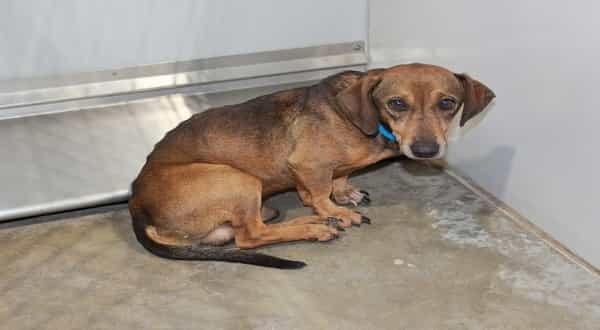 Porter is a 5 year old, 15 pound, Dachshund who deserves a family who will give him lots of love and care. He is rescue only due to his medical needs. According to shelter staff he is fearful, underweight, has a broken tooth, and may be blind in his right eye. If you would like to foster or adopt, local rescues are willing to help facilitate this for an approved applicant. Just fill out an application and someone will be in touch. 1 Response to ""fearful" Porter is a 5 year old, could die at any time after his stray hold ends"